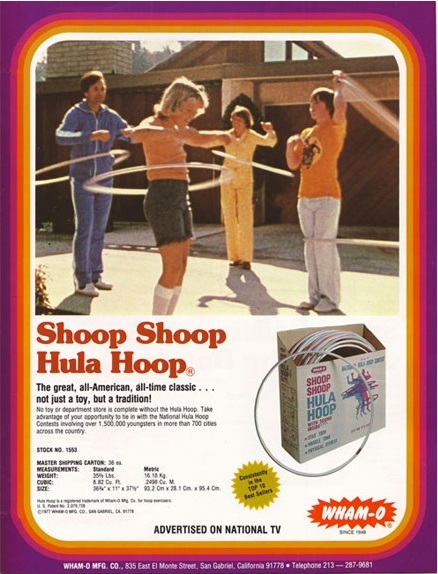 The Hudsucker Proxy notwithstanding, the modern hula hoop was really invented by two guys named “Spud” Mellin and Richard Kerr. They got the idea from “exercise hoops” that were being successfully marketed in Australia. Only Kerr and Mellin designed their plastic hoop as a children’s toy. Back in 1948, the two Californians had started a company they called Wham-O to market a power slingshot they invented. A few years after that, they bought an idea from Fred Morrison for a flying disc. Fred had been inspired by construction workers who were tossing pie tins during their lunch hour. The pies (and the tins) came from the Frisbee Pie Company (but that’s a story for another day). By 1958, sales of the slingshot were flat and the Frisbee just wasn’t taking off (no pun intended). So the boys took their hoop and joined it with the word “hula” (important as Hawaii was in the news often as it embarked on a campaign to become an official state of the union). 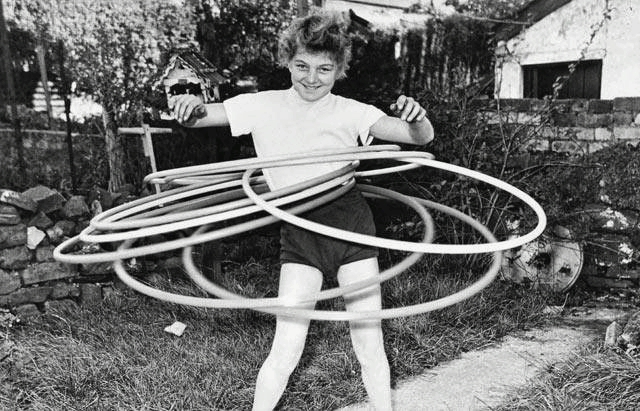 Within the first four months the Hula Hoop was on the market, sales had exploded! Twenty-five million hoops were sold in that short time frame. 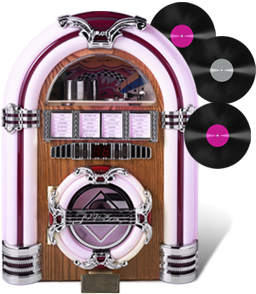 In two years, 100,000,000 had been sold and Wham-O was on its way to becoming a permanent part of American pop culture. By 1967, sales of the hoops had fallen off. What did Wham-O do? They put 6 small ball bearings inside and faster than you could say “wham-o,” the Shoop Shoop Hula Hoop reignited the fad all over again. Since then, the hoops have remained a consistent part of our pop culture scene, being used by kids, exercising adults, dancers at rock concerts, circus performers and more! At Boomtown America, we salute our nation's libraries during National Library Week by remembering the sensitive, tasteful way those "mad men" of Madison Avenue depicted them in an ad campaign from the 1960s. 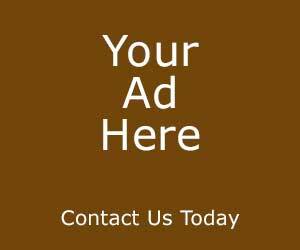 BTW - It is said this ad caused hundreds of the nation's young lads to rush to their nearest library so they, too, could discover the treasures waiting for them there! When we were growing up, did any of us not either have this game or play it at friends’ homes? The term “cootie” was first coined by U.S. soldiers during World War I. They used it to describe any of the various vermin like lice and bugs that infested the trenches in which the war was waged. When they returned after the war, they brought the term home with them. Kids, in particular, liked using it. Cootie, the game, was created in 1948 by a Minneapolis postman named William Sharper. Sharper liked to whittle and the first “cootie” was whittled by him as a fishing lure. When he finished the lure, he got the idea of turning it into a kid’s toy. Sharper had a little store where he sold homemade popcorn machines. He started selling his wooden cooties there. After a year of pretty good sales, Sharper decided to build a game around assembling his somewhat oversize critter. He formed the W. H. Sharper Manufacturing Company and began creating his cooties in plastic. 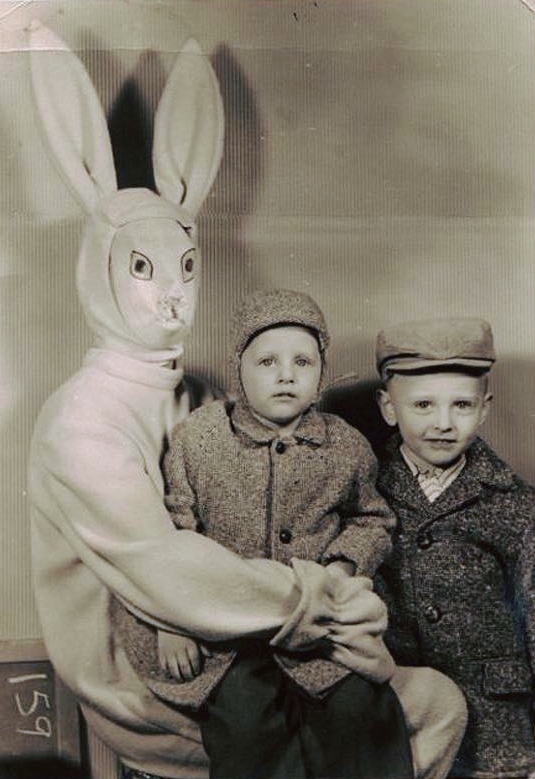 He approached Dayton’s, a local department store, and got them to carry Cootie on a consignment basis. By the end of 1950, Dayton had sold nearly 6,000 sets of the game, not bad for a local product with no advertising. Those sales convinced a distribution company to begin carrying Sharper’s creation nationwide. 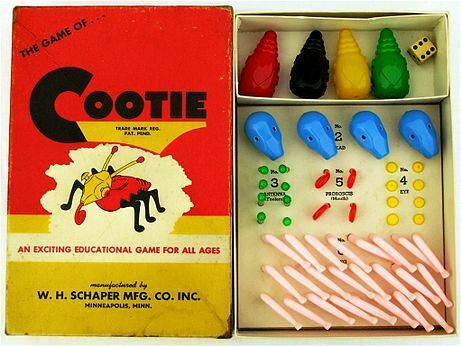 By 1952, over 1 million Cootie games had been sold. Thereafter, Sharper’s company sold a million a year until well into the 1960s. As time passed, Sharper added other games to his line such as Tumble Bug, Inch Worm and Busy Bee. Eventually, Sharper sold his creation to Tyco Toys in 1973. 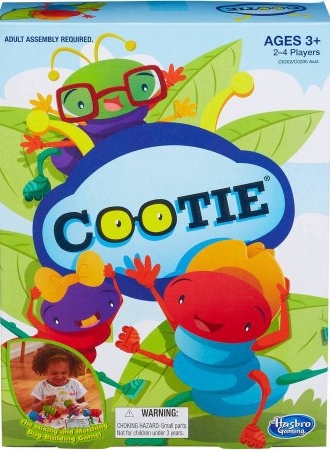 By 1976, Hasbro acquired Cootie which it still sells to this day. So, raise a glass to the only cooties any kid really wanted to have! 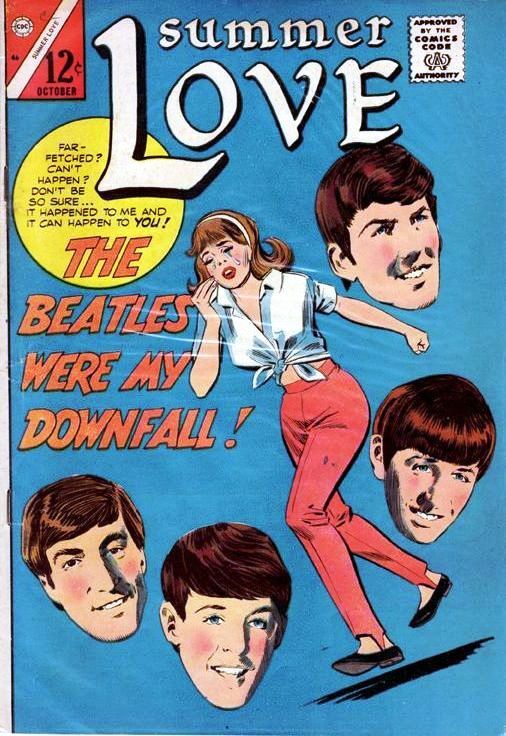 Another Rock & Roll Catastrophe! Gals! Don't Let This Happen to You!